Finding love should be easy, but wedding photographer Phoebe Ward knows better. When Cupid shows up on a crazy mission to help her —and save the world in the process—Phoebe realizes love might be even more complicated than she thought. Even with Cupid showing her Mr. Right , she can’t stop thinking about his best friend, Mr. Wrong. Cal Crawford has never had time for love, but now he’s falling for Phoebe. Which means it’s got to be just plain wrong to set her up with his best friend, right? But even though seeing Phoebe with someone else will break his heart, he can’t walk away from her. Phoebe can’t afford to choose the wrong guy with the fate of the world at stake. But maybe Cupid has it wrong. Maybe she has to rely just a little bit on Cupid, and a whole lot more on her heart. A Little Bit Cupid is the embodiment of ‘short and sweet’. It was funny, cute, and really appealed to the romantic in me. For such a short story, I felt like I actually got to know the characters. I liked and related to Phoebe, and I fell for…well, for the love interest (I don’t want to give anything away!) immediately. I was pleasantly surprised with how well-developed the plot was - it was much better than many of the novellas I’ve read. I enjoyed the story so much I was sad to see it end. 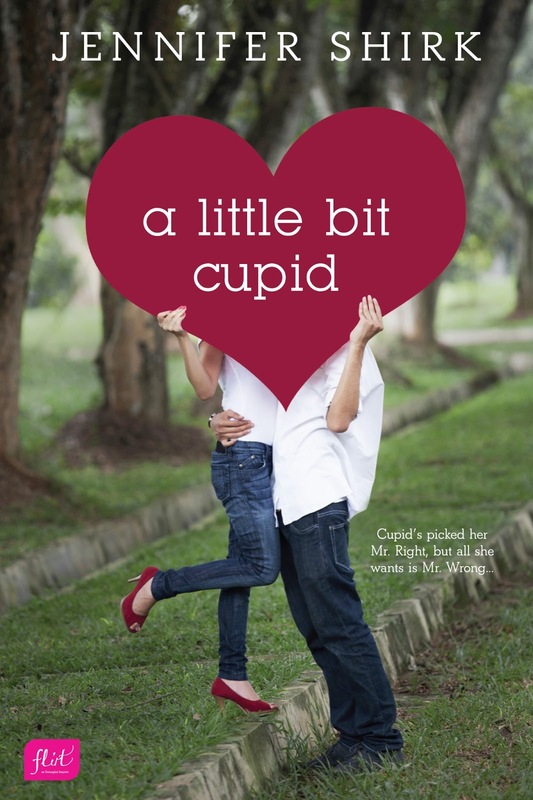 A laugh-out-loud, charming, and romantic modern day fairytale, A Little Bit Cupid is the perfect read for any romance fan. Have you read A Little Bit Cupid? What did you think? Do you enjoy novellas? This looks like such a fun, romancey read. May have to check this one out when I'm in the mood for a short romance.